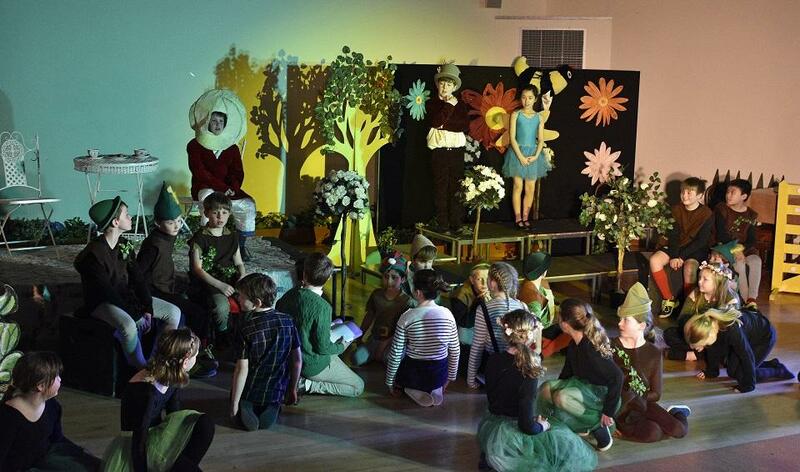 Two superb Junior School productions kept everyone busy in the final week of Spring Term, with Years 4-6 putting on ‘The Magic Faraway Tree’, and Year 7, ‘The Incredible Vanishing’ by Denise Coffey. ears 4-6 took us on a magical childhood adventure to the lands at the top of the Faraway Tree in their production, written by our very own Director of Drama, Ms McQuade-Powell, and inspired by the novels of Enid Blyton. We joined Beth, Frannie, Joe and Rick as they set off on wonderful journeys to the Enchanted Forest and up to whichever land was at the top of the tree. There was the Land of Topsy Turvy, where everything was upside-down and the wrong way round; the Land of Spells, home to goblins, Wizard Wily, a witch, an enchanter, a pixie and a singing cat; the Land of Toys, in which Saucepan Man was captured by toy soldiers; the cake-filled Land of Goodies, and the Land of the Old Woman Who Lived in a Shoe. The stage was packed with colour and excitement, with dance, gymnastics, music, and above all, a lot of fun. Well done to our Year 4-6 cast! Year 7's play had a scarier side to it, with goblins climbing out of a post box to steal children, and in this case traffic wardens, and take them back to 'Her Marshioness' in the underground sewer. It wasn't all dark and eerie though, with Tom's flamboyant portrayal of the queen adding a touch of humour to the show, and plenty of comedy lines along the way. There were bubbles, bananas and Tom Jones classics - a unique combination, but one which resulted in a great performance! Congratulations to the Year 7 cast, and to all involved in putting on the School Hall production!